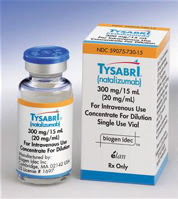 People with Chrones Disease have some excellent news in that the US Food and Drug Administration has approved the use of a drug called Tysabri (natalizumab) to treat people with chrones disease who have not yet responded to other forms of treatment. The CD-TOUCH program will allow physicians to check people with chrones disease that are using Tysabri after three months, if there is no sign of improvement Tysabri will no longer be perscribed. Chrones Disease affects the bowel. It is incurable and the symptoms include diarrhea, fever, rectal bleeding, malnutrition, narrowing of the intestines, cramping, and abdominal pain. More than 1 million people around the world have chrones disease. The disease can also lead to abnormal connections in the gut which are called fistulas these connections grow from the intestines to the skin or internal organs.